"Coaching and Managing are 2 different things." "Have you ever dreamed of being Coach Popovich ?" 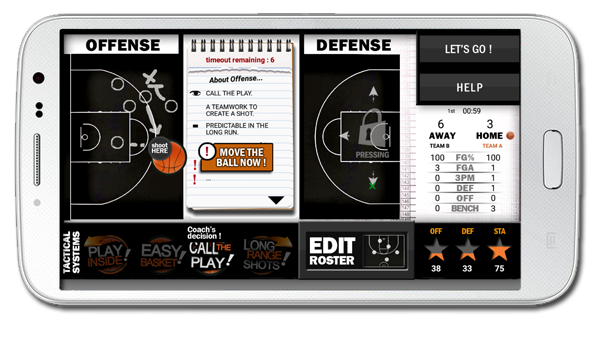 Take better decisions on the court ! • Compare your score with Leaderboard. • Watch your system running in live. 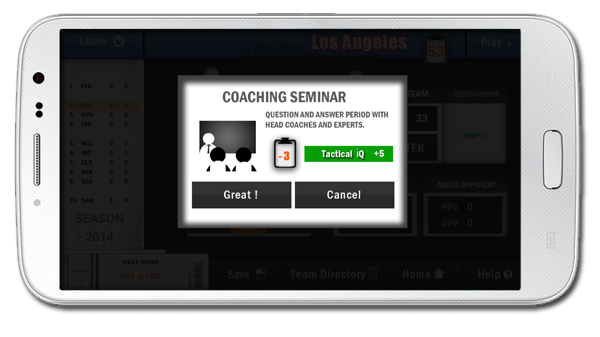 • Build the best starting lineup and the most effective. 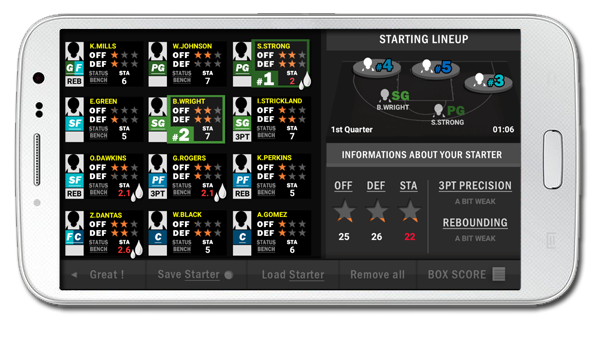 • Follow the player statistics, and the box score during the games. 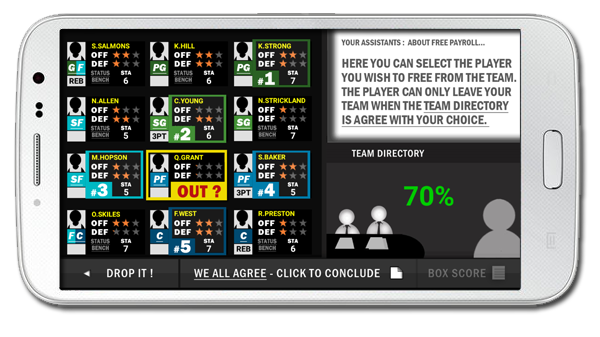 • Assign one position to each player before the matches. 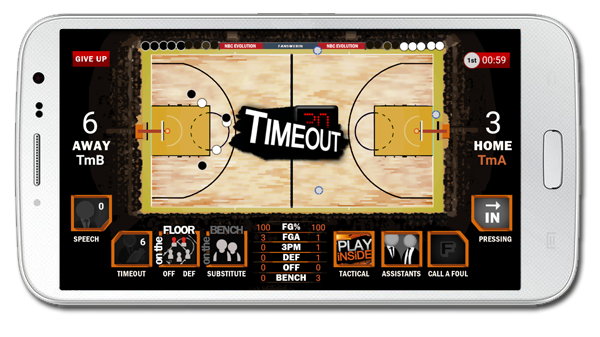 • Give your instructions on the court, and manage Stamina.